The late great Edwin Starr’s brother Angelo Starr is the original musical director of The Team. 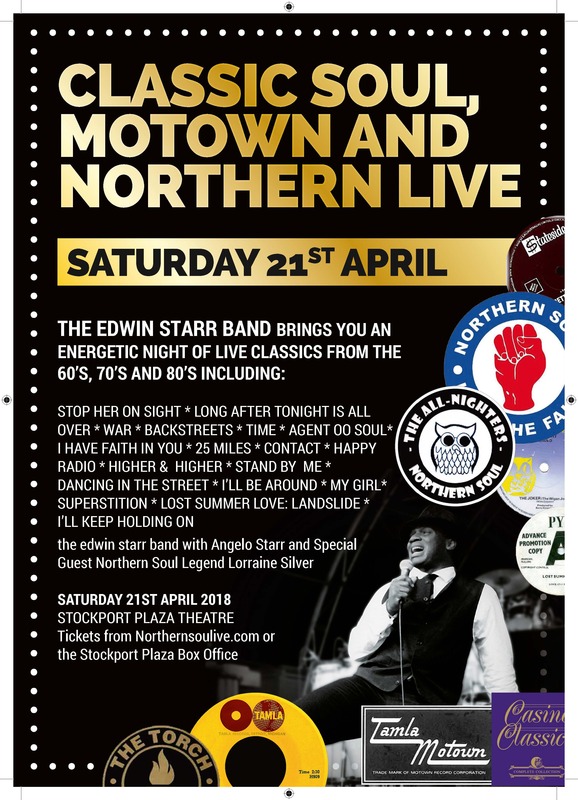 He has now taken over lead vocals performing all the fantastic Edwin Starr classics, plus dynamic performances of some great Motown & Soul covers. Edwin Starr’s original 8 piece band The Team, who backed Edwin on all his shows are still intact, with sax, keyboard, lead guitar, bass guitar, drums, percussion & female backing vocalist.